The MultiStanceCat: MultiModal Stance Detection in tweets on Catalan #1Oct Referendum workshop will take place as part of IberEval 2018, the 3rd Workshop on the Evaluation of Human Language Technologies for Iberian languages at the SEPLN 2018 Conference, which will be held at Hospital Universitario Virgen del Rocío, Sevilla, Spain, on September 18th, 2018. 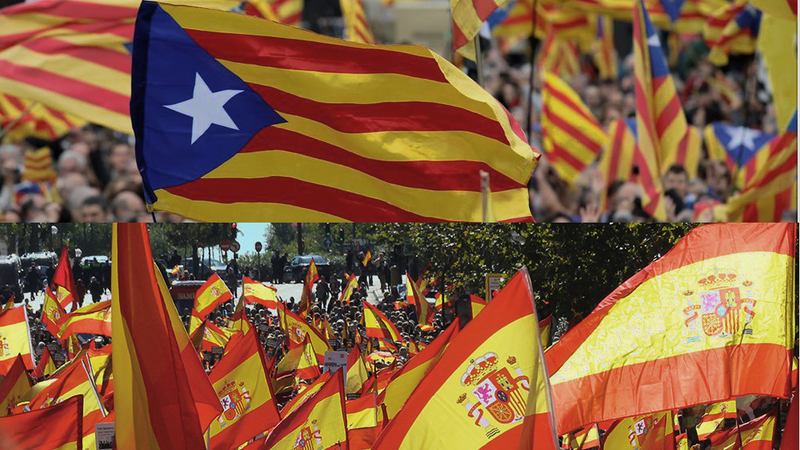 The aim of the MultiStanceCat task is to detect the author’s stance (in favor, against or neutral) with respect to the Catalan #1Oct Referendum (2017) in tweets written in Spanish and/or Catalan from a multimodal perspective. This is a multimodal task because both the text of the tweet and the information included in the link (when this information occurs) will be taken into account when determining the stance. Stance detection is a task related to sentiment analysis, but unlike the latter, in which the systems detect the positive, negative or neutral polarity of the text, in stance detection the systems detect whether a text is favorable or unfavorable to a topic of discussion, which is usually controversial, and which may or may not be explicitly mentioned in the text (Bosco et al., 2016, Taulé at al., 2017 and Lai et al., 2017). The stance detection task is also related to a textual inference task due to the fact that the position of the tweeter is often expressed implicitly, therefore, the stance has to be inferred in many cases. Stance detection is particularly interesting for studying political debates in which the topic is controversial. Therefore, for this task we have chosen to focus on a specific political issue: the Catalan #1Oct Referendum (2017). Stance detection in microblogging texts was carried out for the first time on texts in English at the SemEval-2016 (Task-6) workshop (http://alt.qcri.org/semeval2016/task6/) (Mohammad et al., 2016a). This task was carried out for the first time on texts written in Catalan and Spanish at the IberEval-2017 workshop (http://stel.ub.edu/Stance-IberEval2017/) (with the participation of 10 groups from 5 countries who performed a total of 31 runs). The results obtained will be of interest not only for sentiment analysis but also for author profiling and for socio-political studies. The task is open to everyone, from academics to people in Language Technology industries. Bosco C., Lai M., Patti V., Rangel F., Rosso P. (2016) Tweeting in the Debate about Catalan Elections. In: Proc. LREC workshop on Emotion and Sentiment Analysis Workshop (ESA), LREC-2016, Portorož, Slovenia, May 23-28, pp. 67-70. Lai M., Hernández I., Patti V., Rosso P. (2017) Friends and Enemies of Clinton and Trump: Using Context for Detecting Stance in Political Tweets. In: Proc. 15th Mexican Int. Conf. on Artificial Intelligence, MICAI-2016, Springer-Verlag, LNCS (10061), pp. 155-168. Mohammad, SM., S. Kiritchenko, P. Sobhani, X. Zhu, C. Cherry (2016). Semeval-2016 task 6: Detecting stance in tweets, Proceedings of the International Workshop on Semantic Evaluation, SemEval-2016. Taulé, M., Martí, M.A., Rangel F., Rosso M., Bosco C., Patti, V. (2017) Overview of the task on Stance and Gender Detection in Tweets on Catalan Independence at IberEval 2017. Notebook Papers of 2nd SEPLN Workshop on Evaluation of Human Language Technologies for Iberian Languages (IBEREVAL), Murcia, Spain, September 19, CEUR Workshop Proceedings: 157-177. CEUR-WS.org.